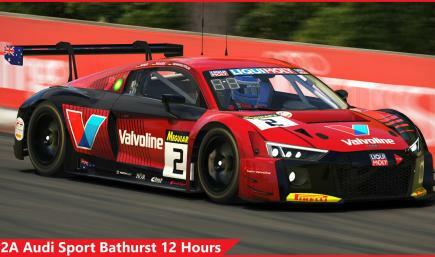 Send request to race #22A Audi Sport Bathurst 12H as your paint in iRacing? If Sergio Hernando allows you to race this paint, you will receive a notification. 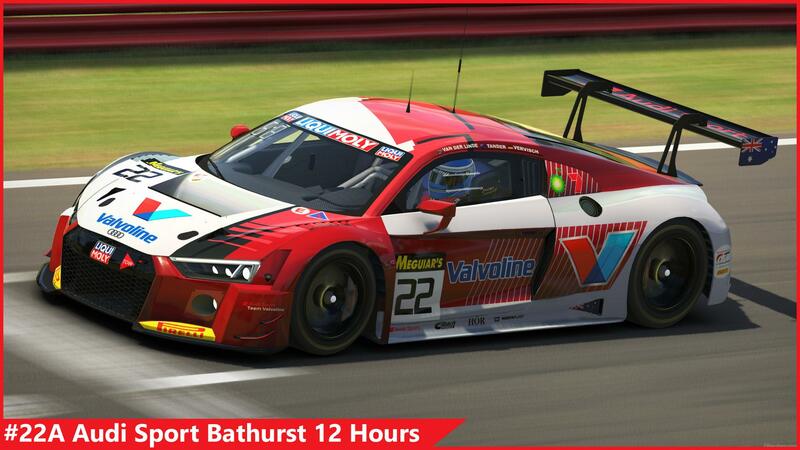 Your request to race #22A Audi Sport Bathurst 12H has been sent. 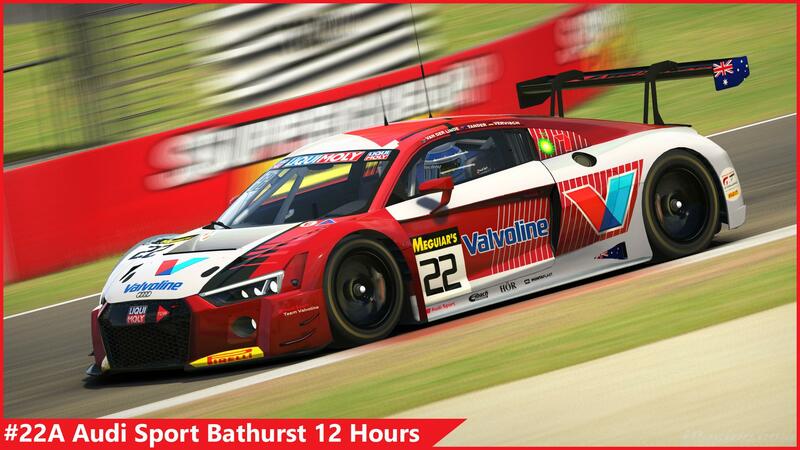 Race #22A Audi Sport Bathurst 12H as your Audi R8 LMS? 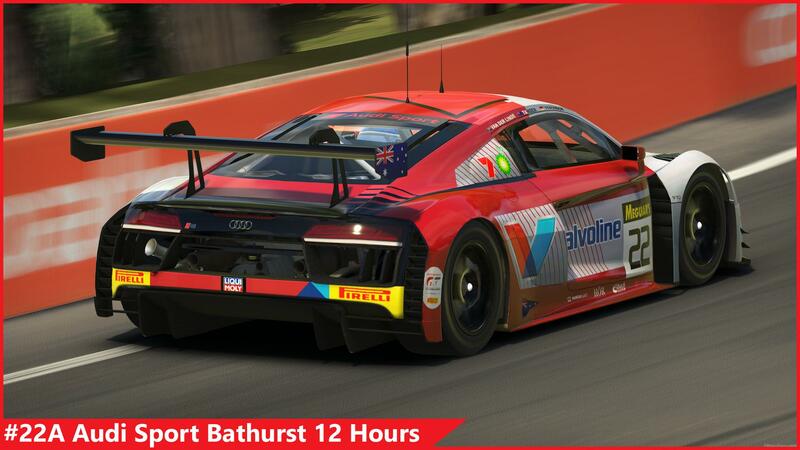 You are now racing #22A Audi Sport Bathurst 12H as your paint in iRacing. Get notified when Sergio Hernando posts a new paint. 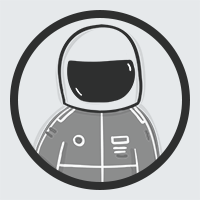 Full-time software engineer, part-time race enthusiast. 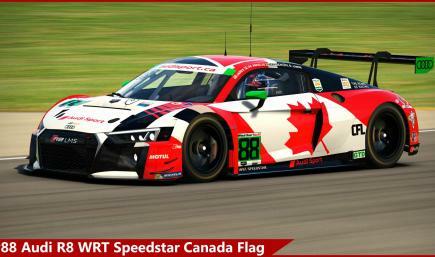 I love racecars, i love races, and i love having the oportunity to race thanks to iRacing. But i don't want to have my cars with a completely white paint, and i know i'm not the only one, so, every time i see a real livery that i like, i try to recreate it as accurate as i can so everyone here can feel like their idols. If you want a real livery that you would like to race, tell me, i might do it and post it here if i have time and the motivation to do it. If you want a replica only for you, it will be have a price in a reasonble range depending on the complexity and time i spend on it. Hope you enjoy my paints, and see you out there!